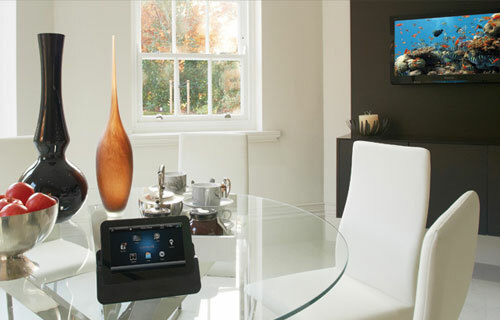 Home Cinema - Stellar - Home Theater & Automation - The Ultimate Entertainment Experience! 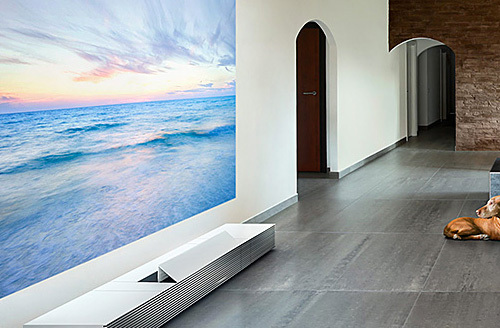 STELLAR home cinema team specializes in the design of residential theaters. Our team of of experienced architects in collaboration with designers have created hundreds of such theaters throughout the world, ranging from small intimate spaces to large environments that can accommodate the entertainment activities of even the most demanding host. Like the great movie houses of the early 20th century, the theaters that STELLAR team designs lure the audience away from everyday life into a tantalizingly polished and detailed space. Visual refinements in color, light, and texture, as well as spatial transitions, from entering the outer lobby to taking a seat in the auditorium, prepare the client almost ritualistically for the proper experience of the movie. Regardless of their size, they all share a common trait — the theater experience! When a new project is initiated, we review the client’s requirements and the allocated space for the theater. We define circulation patterns and spatial relationships within the theater environment. Finally we present the client with a layout for the floor and ceiling plan of the theater as well as selected elevations. As the layout becomes defined, we begin to articulate surfaces and volumes with ideas about form, materials and textures. At this stage the client and STELLART™ establish an agreed overall understanding of the theater design. In residences already built, we use existing drawings, if available. We also visit the site to take field measurements of the space. In new construction, we work with the architect and/or the contractor of the project in coordinating our design with their plans. Our design development package includes complete floor and ceiling plans as well as all major elevations. Once approved by the client, it will serve as the framework for the next phase of our services, which is the construction documentation. A complete set of construction details to direct the contractor and others in the building of the theater. A complete list of accessories, provided by STELLAR™, such as moldings, seating and other fabrication elements that are required for its construction. A light design diagram with appropriately selected light fixtures and a guide for developing a lighting control system scheme that will allow for dimming and variable light levels in different preprogrammed scenes. Recommendations for acoustical treatments and materials that will reduce the possibility of distortion and create a proper listening environment for even the most demanding of sound sources. Sight-line study to optimize screen viewing. Aesthetic integration of the A/\/ electronics and the HVAC system into the theater design. Through our Home Theater Supply Division we will provide interior design and other similar services required for or in connection with the selection and procurement of furniture, furnishings and related accessories to be used in the Project such as fabrics, carpets, light fixtures, chairs, motorized curtains, acoustic panels, Architectural and Decorative elements etc. The involvement of STELLAR™ during the construction of a theater insures that the design is executed accurately and that a level of quality is maintained. STELLAR™ manages the complete design build process either with our own design build team or working with the customer selected contractor throughout the process. We are here to deliver the “Wow effect”. A well designed cinema with the right combination of audio, video, control and aesthetics can deliver the Ultimate Experience!